Ooh, Alice in Murderland chapter 30 has been published in Aria 5 on March 28. A fight is ongoing since the previous chapter: Alice is opposing Mare again, then at the end of this chapter his/her twin Sol shows his true face: he'd own the power of fire?! 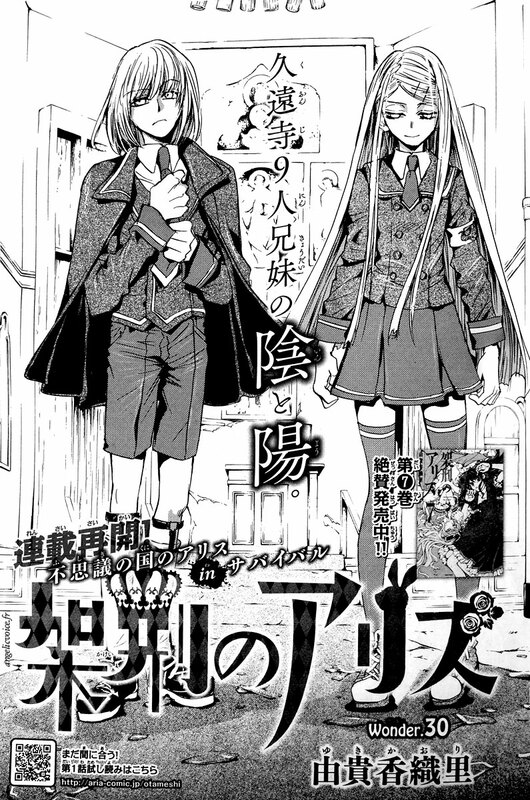 Chapter 31 will be published in the next issue of Aria, on April 28.